Crate Creatures Bashers are the latest loveable beasts to hit toy shelves. The mini versions of Crate Creatures Surprise, they are the perfect play buddies for children 4+ and provide endless gruesome laughter. 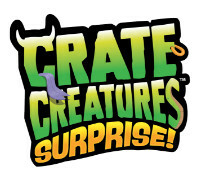 Waiting (impatiently) to be freed, Crate Creature Bashers are the perfect pals for fun and games once they’ve been unleashed. Each character has their own crazy personality with brightly coloured tongues and crazy eyes making them a weird and wonderful bunch. The Crate Creatures Bashers can’t wait to get out of their crates, fly through the air and make monstrously fun and gross sounds. Once they have been unleashed, turn the crate into a target, pull their tongue, then fling them and watch them crash into the goal. Can you score the most points? With 12 to collect including; Blizz, Flea, Guang, Crosseyes, Stubbs, Cappa, Pudge, SnortHog, Tenta, Sizzle, Tugger and Croak collect them all to wreak the most havoc in the playground. Batteries required: 3 x button cell (included). 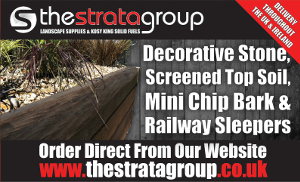 2 assorted characters to collect – 1 supplied.